Collapsible Double Door Live Trap, Model 203, is the perfect alternative when storage space is a concern. 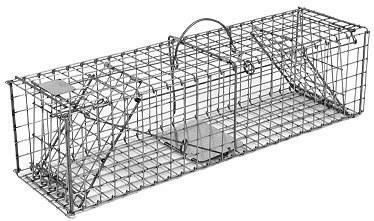 It is perfect for catching squirrels and lots of other small to medium sized animals. The animals can enter from either end of this double door trap.